NeuroRestorative is currently seeking a full-time Occupational Therapist to provide residential, clinic, community, and school-based services for individuals in our Adolescent Program. Our occupational therapists provide both individual and group therapy sessions, supervise Certified Occupational Therapy Assistants (COTAs) and interns, and work collaboratively with a team of highly trained physical therapists, speech language pathologists, behavior analysts, rehabilitation counselors, school personnel, and residential staff. 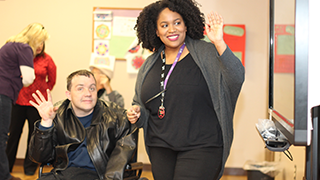 Founded in 1977, NeuroRestorative Carbondale was the first dedicated post-acute rehabilitation program in the country for individuals with brain injuries and has continued as a leader in the field for more than 40 years.